Ecommerce solutions for Euro Options resellers, VARs and MSPs, and a compare the market service to find stock in distribution. Euro Options is an independent distributor and stockist of branded IT goods. Founded in 1998, our continued growth is testament to the loyalty and strength of the relationships we have forged with our customers and suppliers alike. Euro Options aim to establish long term partnerships with all our clients and we do this through our exceptional pricing, commitment and service. Our unrivalled ability to source products allows us to make savings which can then be passed on to our customers. In an increasingly competitive commercial environment, maximising your profitability is key to our business. As a supplier to Europe’s premier distributors and leading resellers, our reputation within the marketplace is second to none. We’ve built the business on the back of our ‘reliability assured’ promise. This is our commitment to your satisfaction. 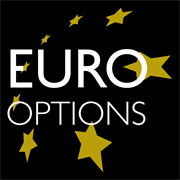 At Euro Options, we are confident we will not simply meet your needs but exceed your expectations. Any business relies on the quality of its staff and we’re hugely proud of ours. With competent, dedicated and enthusiastic people working at all levels throughout the business, we’re certain you’ll enjoy working with Euro Options.